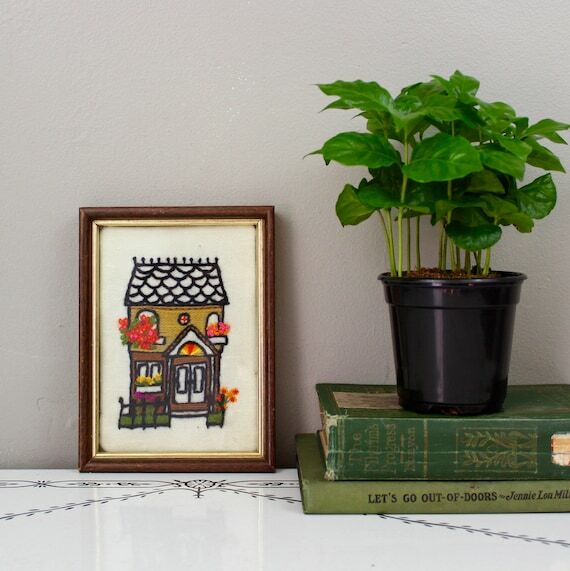 Fantastic little house embroidery! Colorful crewel work on linen featuring couching and chain stitch. Super charming and prefect for a new house. In good vintage condition. Gorgeous colors! Framed and ready to hang!